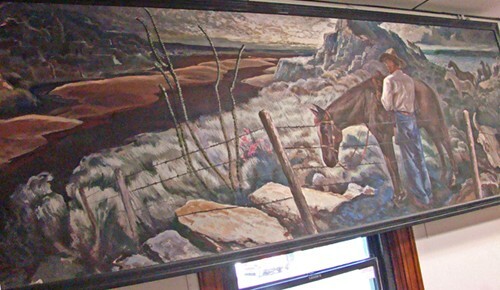 Mission Texas Post Office Mural West Texas Landscape by Xavier Gonzalez. Xavier Gonzalez, was born in Almeria, Spain in 1898. He first entered the U.S. around 1920 and enrolled (as many future muralists did) in the Art Institute of Chicago (from 1921 to 1923). 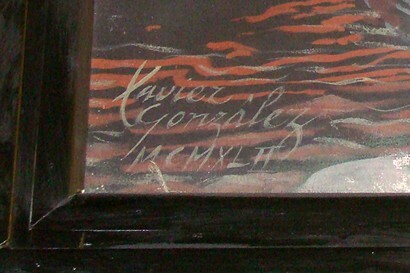 He attended classes with his uncle Jose Aceves* who was already an accomplished artist. Xavier�s artistic studies took him to the Far East, Mexico City and Paris. In the 1930s he married fellow artist Ethel Edwards and became a naturalized U.S. citizen. 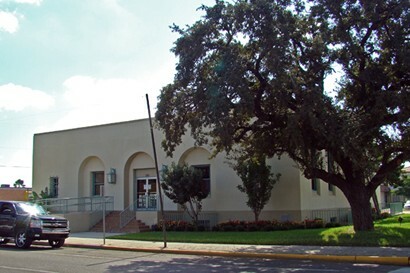 Gonzalez became the director of the art school at Sul Ross State Teachers College in Alpine, Texas and maintained a friendship for many years with muralist (and Sul Ross art director) Julius Woeltz. Gonzalez died at the age of 94 in 1993. Besides the Mission mural, four other works (all 1941) are displayed in Kilgore, Texas: Drilling for Oil, Pioneer Saga, Contemporary Youth and Music of the Plains. 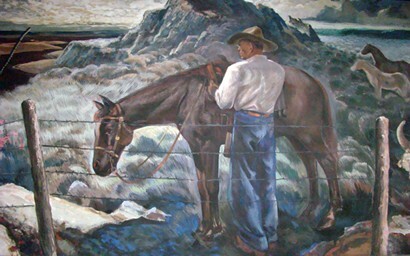 *Aceves painted the mural in Mart, Texas entitled McLennan Looking for a Home and the mural in Borger, Texas titled Big City News. �We drove to the main post office in Mission on Francisco Street.�There was no mural here (building dedicated in 2000).� I never saw a post office with so many boxes for mail.� We found two people talking and asked if they knew of an old�post office with a mural. 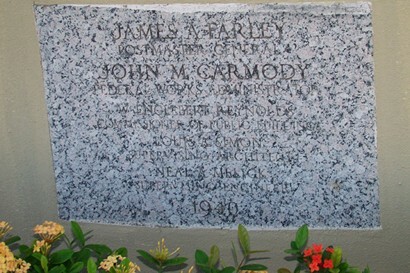 The man said that it was in a building over on Tom Landry St. the other side of Conway (FM1016) which is now the fire station. We went into the fire station offices and asked if it used to be the post office.�A young man said: ��I'll have to ask,� and left the window.�Then an older fireman came out and asked if he could help us.�We asked if these new offices still had a mural from the building�s days as a post office. He said �no, the building has been completely renovated and there is no mural.��Our spirits dropped. Mission's former post office, now a museum. I took a lot of �insurance� photos due to the cramped space and poor lighting. Later, we walked next door to the museum to view the Tom Landry Room and others.�There we were met by a nice lady volunteer from Iowa.�She thanked us for coming and said she has been a regular on Fridays since she had lost her husband, and is always available when they need her.